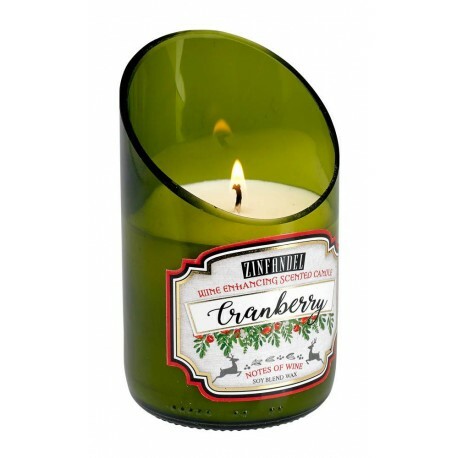 The white cranberry zinfandel scent features a vibrant blend of cranberry zinfandel sparkled with juicy apple. The heart is intertwined with spicy cinnamon and rose; and warmed by a delicate hint of sweet orange flower. 3" x 3" x 5".